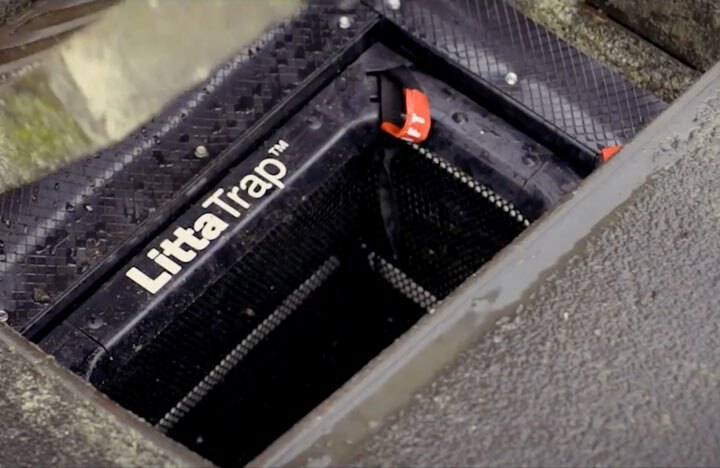 The EnviroPod Filter is a catch basin insert designed to be easily retrofitted into new and existing stormwater drains, that focuses on catching and retaining SEDIMENT, NUTRIENTS, litter and debris from water entering the stormwater system, and can be installed in either curb inlet, standard pre-cast catch basins or manhole catch basins. The EnviroPod Filter consists of a screening bag supported by a filterbox and structural cage. The EnviroPod removes gross pollutants and suspended solids, reducing particulate bound pollutants such as heavy metals, oil, and grease. The screening bag captures these pollutants and allows the water to pass through to the outlet pipe. Using passive screening and optional oil-adsorbent media, the EnviroPod Filter can be customised to meet site-specific requirements with interchangeable polyester mesh screens ranging from 100 to 1000+ micron pore size. precision woven. The filter medium has a smooth and slippery surface which allows filtered sediments to be easily washed from the filtration surface. In a high flow situation, this will serve as a self cleaning mechanism. Other micron pore sizes are available up to 1600 micron burnproof trash/litter bags for gross pollutant removal. Traffic control must be well planned when measuring a catchpit, installing or inspecting an EnviroPod Filter all standard rules and regulations governing Traffic Control & Health and Safety while working on the road must be rigidly followed at all times. All potential hazards must be identified and control methods put in place prior to undertaking any activity. Before installing an EnviroPod Filter, the catchpit needs to be assessed and measured to gauge suitability. The system must be monitored and maintained in accordance with relevant local authority guidelines. 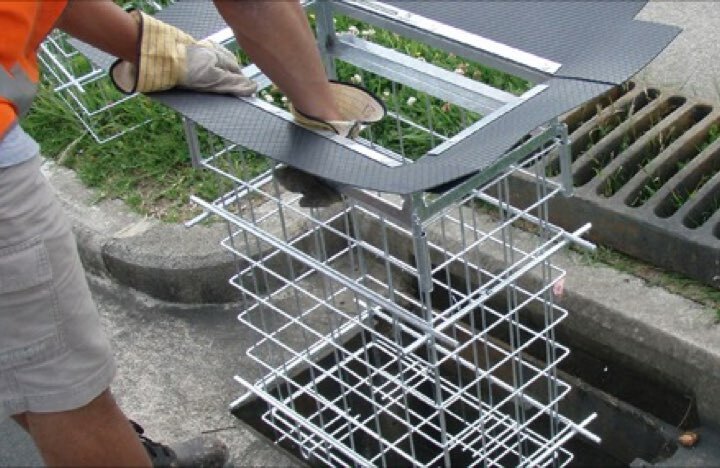 EnviroPod installations vary due to the vast number of catchpit configurations and site conditions. Typically EnviroPod filters will require maintenance between 3 & 12 months, depending on local site conditions, pit depth and the number of vehicle movements. The frequency of maintenance services should be reviewed at the completion of each service and modified if pollutant loadings deem this necessary. At the required maintenance interval the contaminants need to be removed from the filterbags and disposed of appropriately. The maintenance crew is responsible for the disposal of debris in accordance with all applicable regulations and is responsible for following all applicable regulations, and Health and Safety requirements.